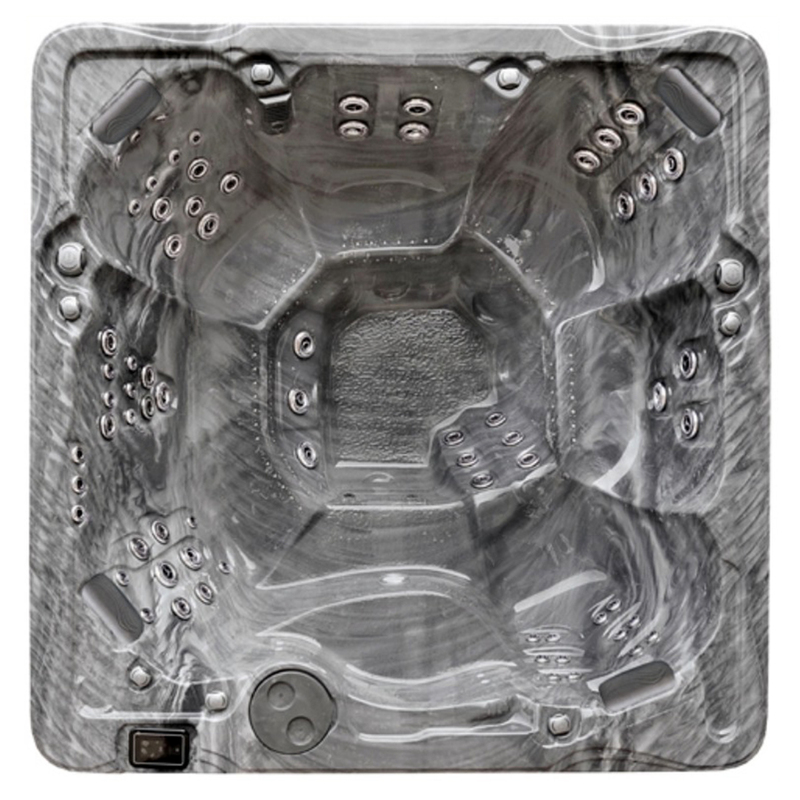 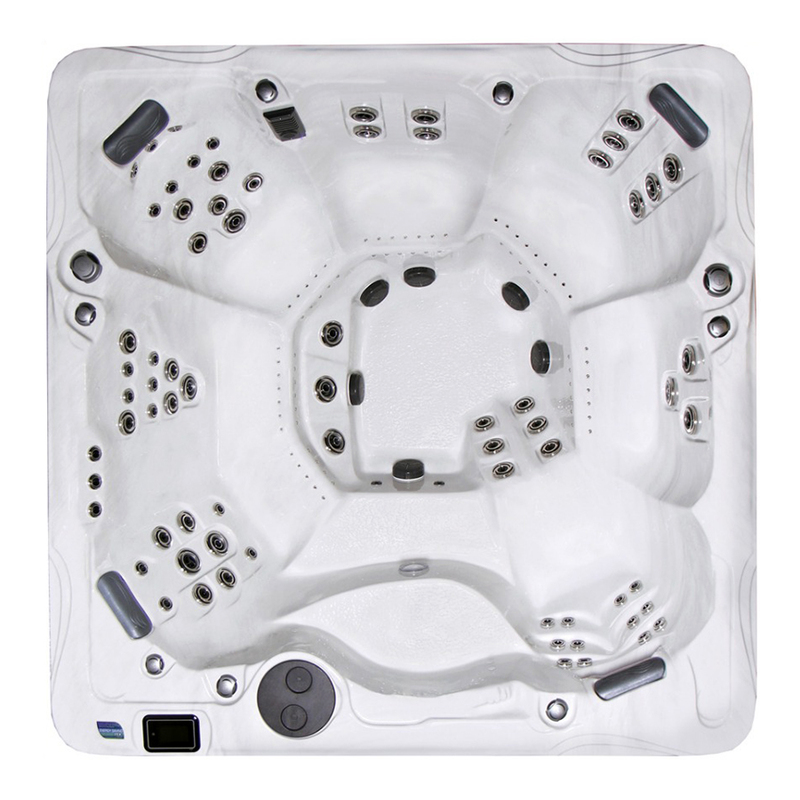 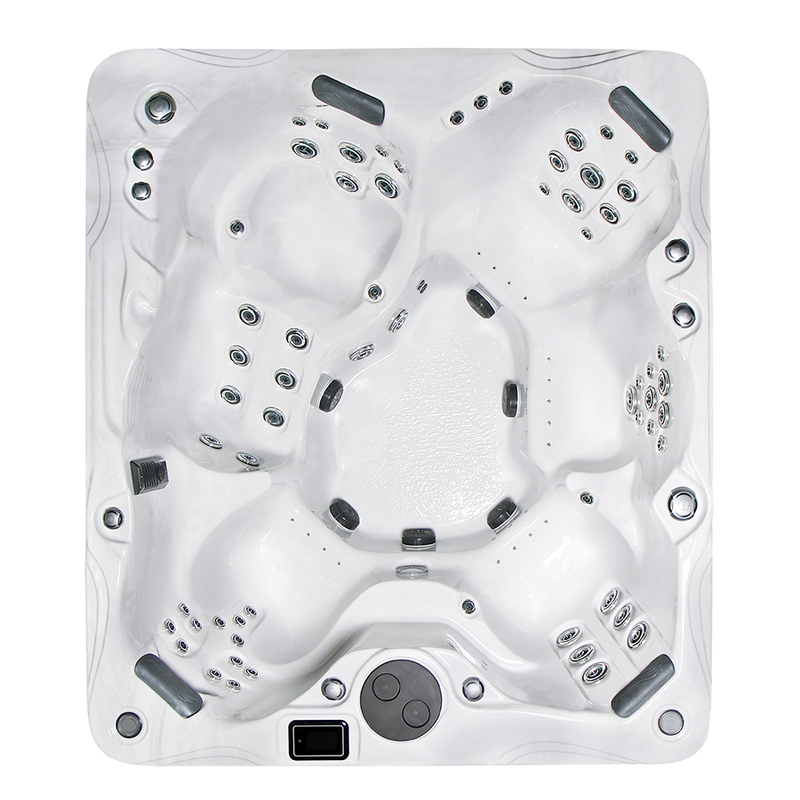 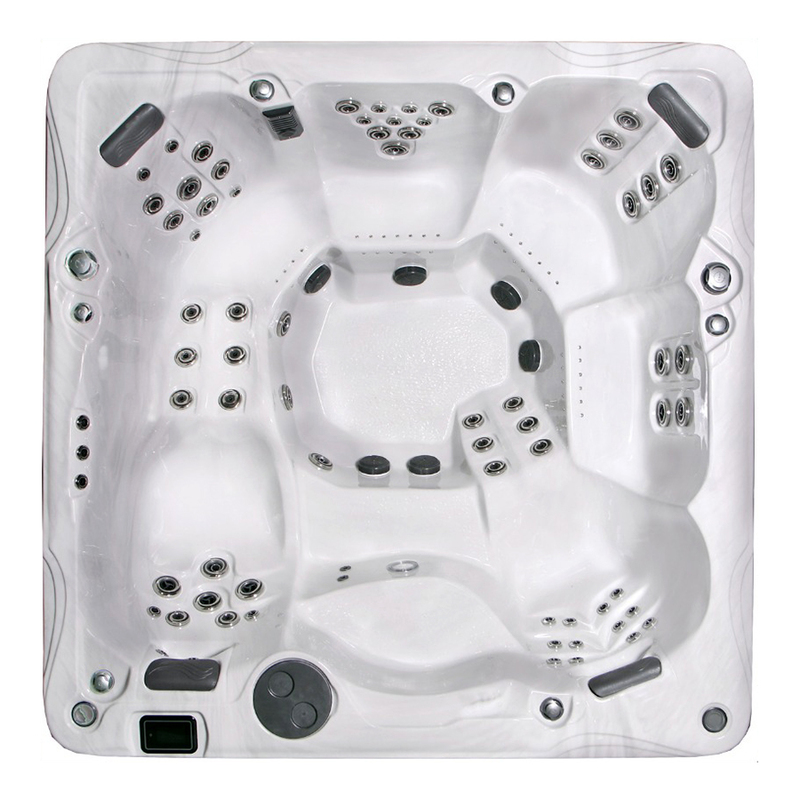 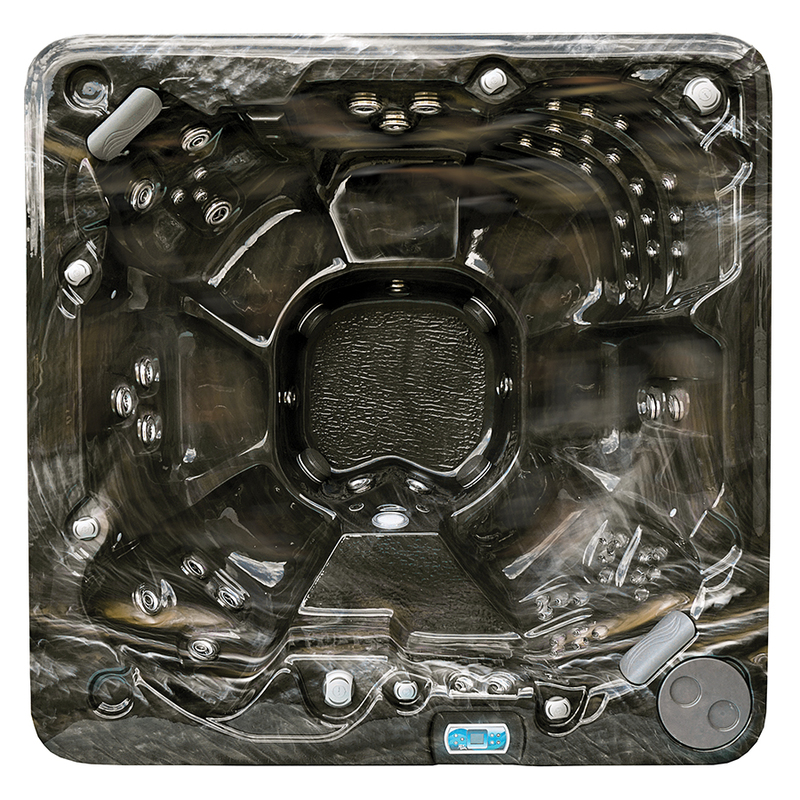 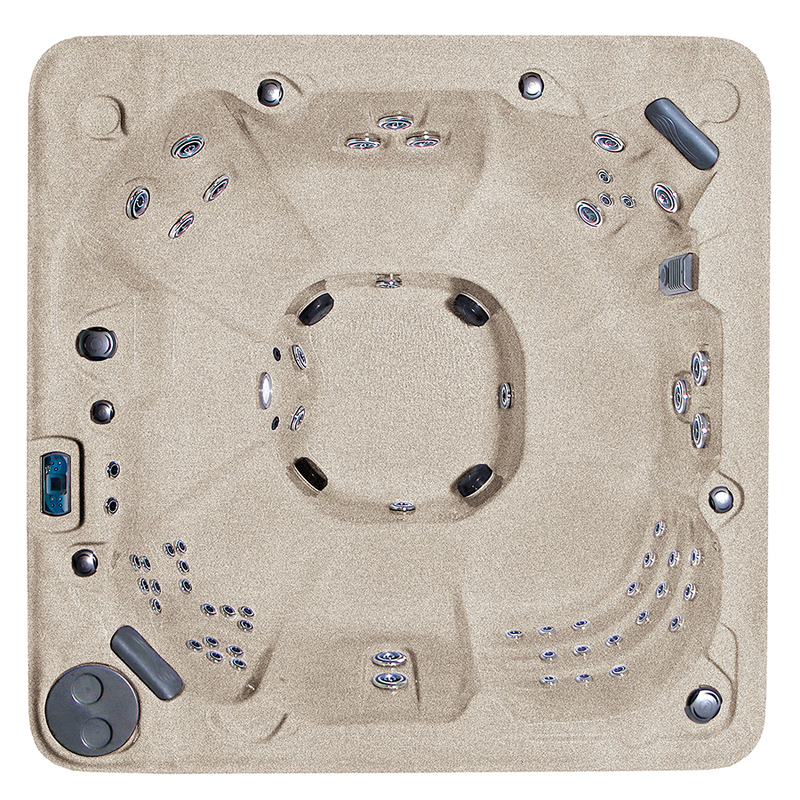 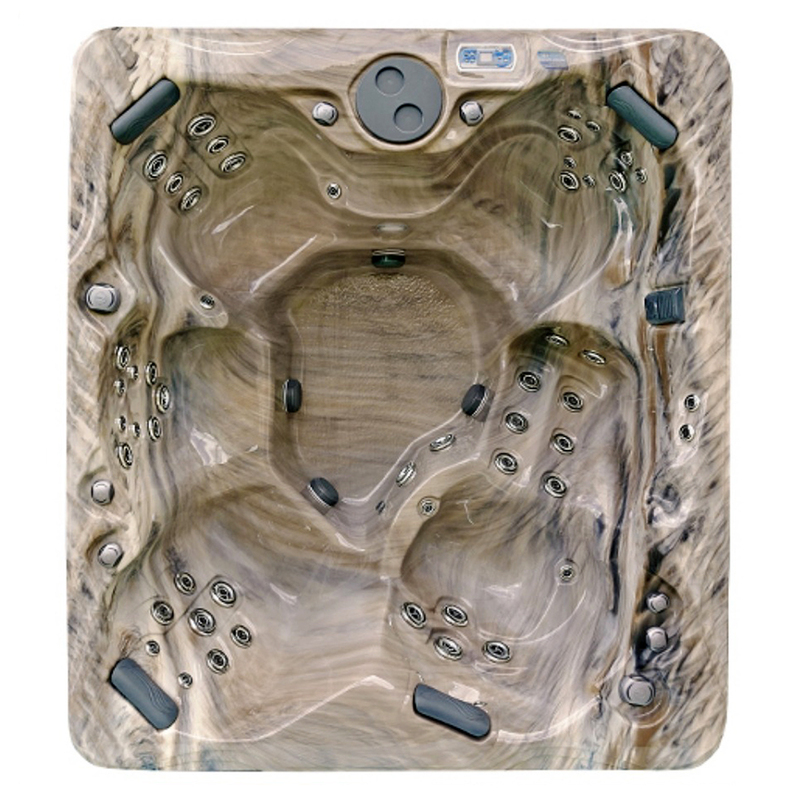 Crown Spas & Pools’ Fiji luxury hot tub measures 93″ on all four sides, and is specifically designed to provide ample space and a host of features. 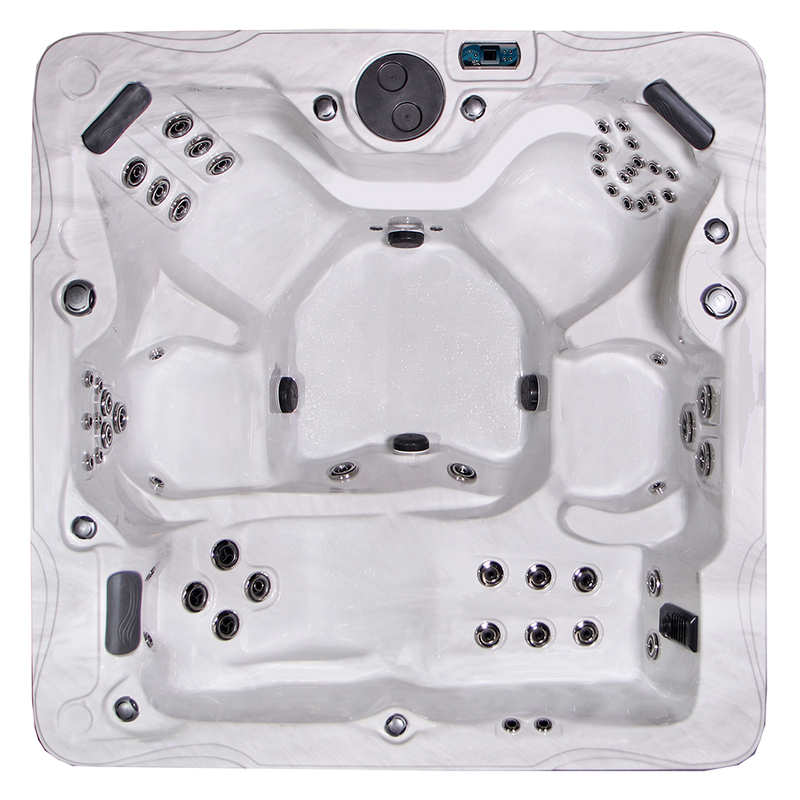 Its six seats include a total of three contoured bucket seats ~ one lounge, one captain’s chair and an open bucket seat. 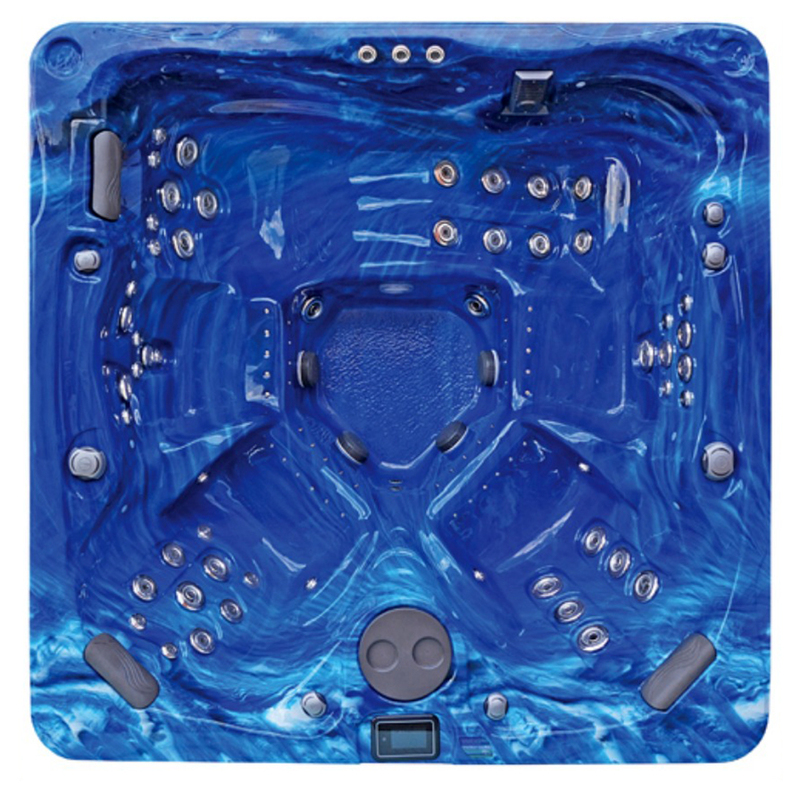 The Fiji’s strategically designed assembly offers up to 123 jets which include up to 65 hydrotherapy jets, and 58 dedicated air spa massage jets. 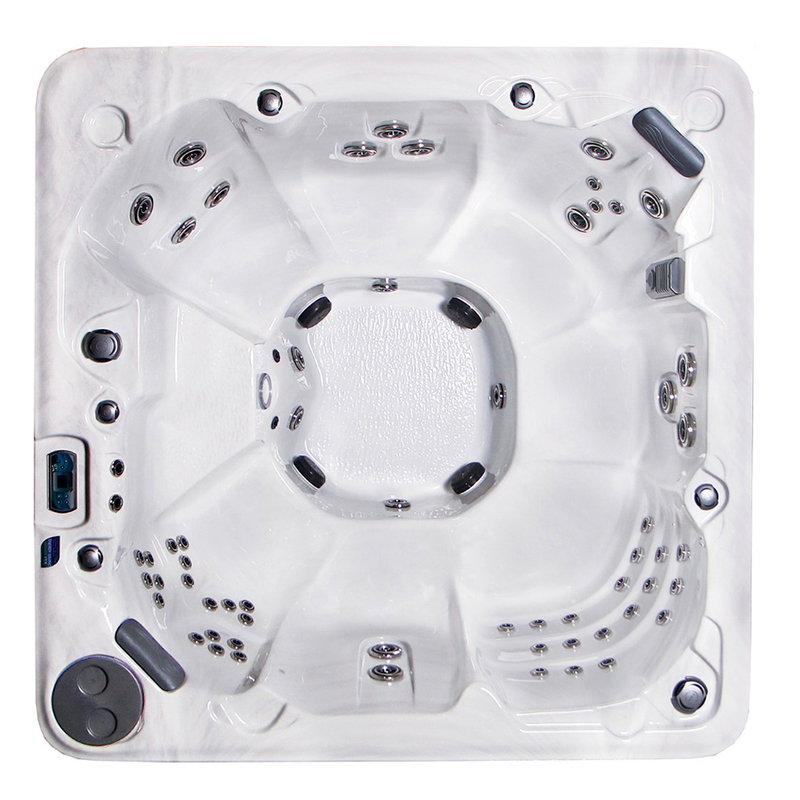 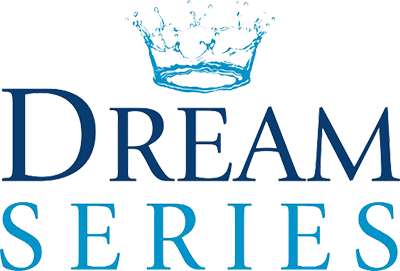 Step in, get comfortable, and experience the difference that Crown Spas brings to every hot tub.